Campuses are taking aim at the growing problem of student hunger while using creative funding methods to provide help. That’s how many students on college campuses today worry on a monthly, weekly, or daily basis about food—specifically, when or what they might eat next. While still largely in its nascent stage, a growing body of research has emerged during the past decade across the higher education sector attempting not only to quantify the scope of food insecurity among students, but also to begin to measure the impacts of this phenomenon on retention and academic performance, and the likely long-term effects on society and the economy. At a more granular level, individual institutions and state systems of higher education are likewise directly canvassing their student populations to get clarity on the extent of the problem within their reach. According to a 2017 assessment conducted by Portland Community College, Ore., upwards of 60 percent of PCC students have experienced food insecurity at some point while being enrolled. While the percentage of those falling into the extreme insecurity category of daily concerns surrounding food access was less than 10 percent, essentially half of PCC students said that they experienced anxiety related to food availability on a weekly or monthly basis, notes Diane Shingledecker, PCC’s community-based learning faculty coordinator in career and technical education. A January 2018 California State University Study of Student Basic Needs revealed that 43.7 percent of Fresno State students surveyed reported food insecurity, compared to 41.6 percent on average across all 23 CSU institutions. At St. John’s University in Queens, N.Y., 15 percent of the 504 students who responded to a recent pilot survey indicated that in the past 12 months, they often or always went hungry because of a lack of money. Data from this survey—designed by a committee of faculty, students, and administrators—provide information that will point to adjustments needed to better link students’ specific needs with appropriate resources. Suffice to say, there remains plenty of need for a deeper dive on the nuances that define, the factors that influence, and the challenges that stem from student hunger on campus. Food insecurity among college students is not new, says Kathryn Hutchinson, vice president for student affairs at St. John’s. It has been on the radar of student affairs professionals and others who are part of the student caretaking team on campuses for years, she adds. Yet, the prevalence of students today whose basic needs for healthy food and secure shelter remain in question has many educators freshly alarmed and taking action. Clare Cady, director of College and University Food Bank Alliance (CUFBA), concurs. She says that the issue as a topic of discussion began gaining prominence about five years ago. Her own hypothesis: Toward the end of the Great Recession, middle-class families across the board—including white middle-class families—began realizing the cumulative impacts of multiple years of sustained economic stress. Hunger was no longer a reality only for those fitting the technical or stereotypical definitions of poor, suggests Cady. Coinciding with an expanding student services focus on food assistance programs, greater attention to research studies to better understand the underlying causes of food insecurity likewise brought more media scrutiny and helped drive the conversation into the mainstream. Some factors named as contributing to the hunger crisis among college students aren’t terribly surprising. While many are inclined to blame rising tuition and course material costs as a primary culprit, that doesn’t begin to take into account the myriad factors that have caused tuitions to rise—most notably, state appropriations for higher education that have in many cases plummeted during the past decade, leaving a much higher burden on families and institutions to make up the difference in financing a college education. Not to be ignored is the steady erosion of a range of social supports such as federal food assistance coupled with wage stagnation, higher costs of living, and increased health-care costs that have left families financially squeezed and less able to contribute to a son’s or daughter’s education. Changing student demographics are likewise a contributor. Increasingly, the traditional student is being replaced by individuals likely to be a bit older, probably working at least part time, perhaps with families of their own to support, and sometimes, with the reverse challenge of financially assisting a parent. The widening income divide spreading across the nation means lower-income students will continue to comprise a growing share of those seeking opportunities to achieve advanced degrees and credentials. All this suggests that issues related to food insecurity will not only remain, but likely increase on the current trajectory. Ironically, at the same time that fewer today can afford college, every news cycle related to the job market and economy sends a clear message that more highly skilled workers are in demand. Especially for those with advanced degrees and credentials, more opportunities are emerging for decent-paying jobs. Yet, when individuals must choose between paying for college and putting food on the table, this adds one more reason to either drop out or not enroll in the first place. For those in the midst of their studies, research suggests academic success can suffer on multiple levels when students are hungry, homeless, or both. The strain likewise takes a toll on physical and mental health, including more missed days of school and work. Because real college life on a daily basis for too many students is overshadowed by anxiety about whether they will eat and where they might sleep, a robust student services focus for more institutions today includes helping students meet their basic needs so that they can stay in school and remain focused on their studies. During the past decade, PCC has adopted a multifaceted approach to assisting students who lack reliable access to food, but the most direct way has been through its campus-based food pantries. The college opened its first pantry on its Rock Creek campus in 2008, followed the next year with pantries on PCC’s three other campuses. An extremely active student government—Associated Students of Portland Community College (ASPCC)—has been instrumental in the launch and operation of the pantries, says Stephen Arthur, manager of student life for PCC’s Sylvania Campus. Initially, the pantries were kept stocked largely through direct donations and additional fundraisers. Students could access their campus pantry three times per term and collect a bag of items equivalent to about 12 meals, says Arthur. Pantry services have evolved dramatically since ASPCC enacted a student-approved activities fee two years ago to boost pantry funding. The fee of 20 cents per credit hour helped raise $155,000 this past academic year alone, says Arthur. That has allowed for a consistent level of funding for each pantry to cover operational expenses, student personnel costs, and to round out the purchase of additional supplies and seed an $80,000 emergency grants fund to help students in urgent need. All four campus pantries can now also offer regular shopping hours with once-weekly access for students. Donations remain a core component of PCC’s pantry success. One key partner is the Oregon Food Bank. The college is also in negotiation with local grocers to enable PCC’s pantries to more consistently offer personal hygiene products with donated and reduced-cost items. And, in a creative win-win for students’ pockets and pantry shelves is a partnership with the college library whereby students can donate nonperishable items to get reductions on library fines. “We are still evolving this program, which we’ve set up as a tiered system,” says Arthur. For instance, a donated can of corn could reduce your fines by $3, whereas a jar of peanut butter may yield $10 off your tab, explains Arthur. A similar partnership is being explored to trade food donations for reduced parking fines. In November 2014, Fresno State launched its Student Cupboard as one component of its Food Security Project. Within the first month of opening, the pantry served 198 visitors. On average today, the pantry receives about 4,600 visits per month during the academic year, and over the course of nearly four years, 11,300 unique users have stopped in at least once, says Jessica Medina, Food Security Project coordinator. While fewer visits occur during summer months, the Student Cupboard remains open 30 hours per week year-round. Students can access the pantry once each day, choosing among a variety of food items to fill their basket and having their items bagged at checkout. The pantry started its own garden on campus and for more than a year, has been adding fruits and vegetables grown and harvested on campus in addition to collecting or purchasing fresh foods off site. “While many of the other items in our pantry have a limit of one per visit, we don’t limit produce—in part because of their short shelf life and because we want to add to the healthy options students choose,” says Medina. In addition to its pantries, PCC has likewise been testing other ways to provide affordable eating options for students. Two campuses now have learning gardens where students can volunteer and leave their shift with fresh produce in hand. The college also has a $5 meal voucher program for use in campus cafes that is widely advertised across each campus and within each food pantry. According to Shingledecker, recent grant funding will provide for an additional 5,000 food vouchers (1,250 for each campus) this coming year. PCC is also exploring ways to provide a “teaching kitchen” that would offer the space and equipment for students to make their own meals, since the challenge of eating healthy on a fixed budget may have as much to do with opportunities to prepare your own food, says Shingledecker. Deb Lippoldt, Foods & Nutrition department chair for PCC’s Sylvania Campus, suggests going one step further to make nutrition and food procurement and preparation part of the required curriculum, similar to the way more colleges and universities have recognized the need to teach students basic skills around budgeting and financial management. “Teaching resilience skills is an important part of a student’s education,” she says. Nurturing resilience in students may include helping them learn to advocate for themselves, adds Cady. “Normalizing a help-seeking environment that eliminates a sense of shame should be a priority for institutions.” While the National School Lunch Program has for years provided nutritionally balanced, low-cost or free meals to children in elementary and secondary public and nonprofit private schools, once students graduate from high school, they are essentially on their own, notes Cady. During the 2015–2016 academic year, CUFBA broadened its scope to assist college campuses with addressing deeper-level needs of students, including efforts to help students apply for food assistance programs such as the federal Supplemental Nutrition Assistance Program (SNAP) offering nutrition assistance to eligible low-income individuals and families. PCC is among a growing list of higher education institutions helping students secure and maintain assistance through SNAP and other state and federal programs offering grants and subsidies for child care, health care, and housing. This has required training faculty, student advocates, and front-line staff on how to help students apply, since the application process is one more thing students often don’t make time for on their own, notes Dee Wilson, PCC bursar. In fact, PCC is doubling down on that effort, leading a consortium of 14 colleges in the statewide STEP (SNAP Training and Employment Program) project that increases tuition, transportation resources, and coaching support for SNAP recipients to further eliminate obstacles toward completion of their credentials and a good-paying job. PCC’s president and other college leaders are working closely with Oregon’s Department of Human Services to inform policymakers of the financial burdens for many college students and the need to ease the program’s work requirements so that students can maintain eligibility while in school. “Our ultimate goal is to remove any barriers to student success—including food challenges—to help students progress and graduate so that they can, in fact, move on to better employment prospects and out of the loop of being food insecure,” says Shingledecker. Linking students with additional food assistance is likewise a priority for Fresno State. “From the beginning, the university’s first lady has been one of the Food Security Project’s biggest advocates, wanting programs to be easy for students to use—no different than other available services on campus, like the student health center or career services,” notes Medina. That ease of use includes encouraging student sign-up for services such as CalFresh, the state’s version of SNAP. Application assistance is available in the Student Cupboard and in locations across campus, with individuals who are trained to help students apply, says Medina. As part of its data-collection efforts to quantify overall pantry use and frequency of visits, Fresno State students do swipe their student ID cards upon checkout, says Medina. Although total student visits to the Student Cupboard are tracked, no demographic data are collected other than the retention status and academic standing of those who visit. “Our hope with collecting these data points is to be able to assess over time any correlation between these support services and student retention and completion,” notes Medina. More recently, the Student Cupboard started tracking the number of items per visitor since this might also indicate level of need, says Nelson. Medina asserts that Fresno State’s Food Security Project has been successful because of the robust collaboration and partnership surrounding its initiatives. Initial funding to launch the Student Cupboard came through the president’s Circle for Excellence funds—providing donor funding for startup programs. That seeded the pantry through its first 18 months. Since then, donor funding from community partners has largely sustained the program. An annual March Match Up development campaign that began in 2016 has raised matching funds to total an excess of $440,000 during the past three years. This covers funding for food purchases, hygiene items, student assistants, and general operating costs. Medina also works directly with the local community food bank and with growers and producers to maximize the value of donation dollars. “Our program costs around $100,000 per year to run with our current initiatives,” says Nelson. Other than Medina’s full-time coordinator position, which is funded through the campus budget, Fresno State’s program is 100 percent funded through donor contributions, community partnerships, community and campus support, and a CalFresh grant. Doing some quick math, that $100,000 stretched across Fresno State’s 25,000 students suggests an approximate cost of $4 per enrolled student to provide these programs, notes Nelson. “That’s obviously not a perfect estimate, but as institutions consider how to make similar programs scalable for their campuses, it can provide a starting point to assess cost and return on investment,” suggests Nelson. She argues that in whatever manner you fund your initiatives, partners across the institution must be willing to provide strong support to make your program effective. For Fresno State, auxiliary services partnered with campus technology services to create and launch the university’s Catered Cupboard text alert app, and staff are available to answer calls and push notifications. “Dining services donates up to one meal swipe per student per semester at no cost to us—estimated at $4,500 per year—and donates all food truck vendor fees back to the Student Cupboard,” says Medina. Academic affairs grants Medina class time for presentations about Food Security Project services, and the university’s advancement and communications offices help share students’ stories and assist with fundraising and donor relations, especially in connection with the annual March Match Up campaign, says Medina. Perhaps the ultimate nod of appreciation has come from students. This past spring, graduating seniors donated $6,400 to the Student Cupboard in a show of support to their fellow students. Medina conducted frequent focus groups with students prior to and following the launch of the Student Cupboard and routinely talks with students in and out of the classroom. “Because we have a number of students who are parents of young children, we started providing diapers, wipes, baby food, and formula whenever available,” says Medina. Students can also pick up once each month a hygiene pack containing deodorant, soap, and other essentials—another need identified based on input from students. Ultimately, institutions need to move away from trying to address food insecurity through donated foods and move toward raising awareness about reaching food security and poverty reduction, argues Lippoldt. In part, colleges and universities can help achieve this by emphasizing livable wage work, requiring that academic programs demonstrate the capacity to lead to living wage employment, says Lippoldt. “That’s not to suggest that campuses should not or don’t also need to respond with food assistance now,” she adds. 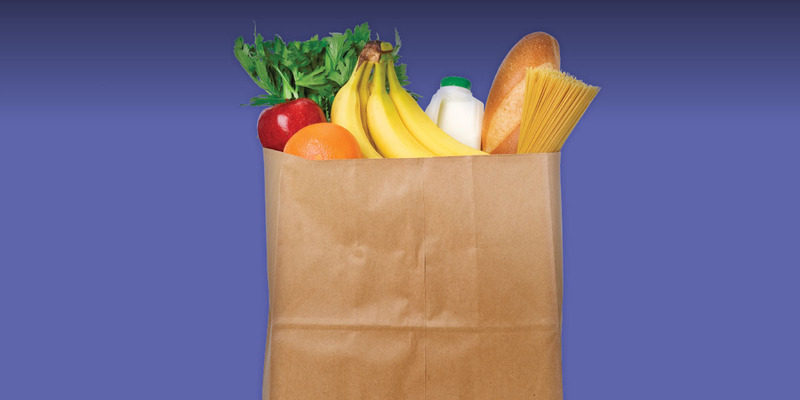 In the near term, pantries and meal voucher programs can provide immediate relief to students. Institutions can also examine ways to subsidize their food service so that meal options are more affordable. From an advocacy standpoint, institutions can lend their voice to those calling for a national school meal program in postsecondary education similar to the free and reduced meal programs in primary education, suggests Lippoldlt. “This is an important conversation,” says Cady. “On the one hand, we need to provide direct services today, because students needed food yesterday. We also need to figure out how to address the underlying issues that lead to food insecurity among students.” This is a truly wicked problem because the layers of complexity make it seem unsolvable, says Cady. Lasting solutions will require a cultural shift, policy change, and an evolution in how institutions respond to students, argues Cady. Regarding the latter, leaders need to reimagine what it means to be a student and embrace new concepts of what students’ lives are actually like today, argues Cady. “The traditional student of a generation ago is no longer the norm.” That’s all the more reason that the higher education sector needs more data and evidence and the ongoing narrative of students caught in this challenge, says Cady. At St. John’s where Hutchinson has worked for more than 11 years, responding to students’ food and housing challenges is a joint effort between the office of mission and campus ministry and the division of student affairs. “We have an assessment process where we ask some basic questions to determine what is really happening with a student. Is this an ongoing need, or short term? Is it an immediate point of stress such as fixing a flat tire that required scarce resources to be redirected, resulting in less to spend for food? Or is it a recent increase in medical costs that will add to monthly expenses indefinitely and therefore impact the student’s level of food security for an extended period of time?” Those are important variables when trying to determine the best way to assist a student, notes Hutchinson. Staff members who conduct these initial assessments are granted broad authority to dispense financial assistance on the spot for urgent concerns. “Knowing more about the issue at hand might allow us to then repackage financial aid going forward in a way that frees up additional resources for daily living,” says Hutchinson. For students, these conversations also shed light on services available to them to encourage help-seeking behaviors on their part so that they don’t feel hopeless or alone, she adds. Aside from 3,500 residential students, the majority of the university’s 20,000-plus students don’t live on campus. Many do live within a mile or two, though not necessarily at home. “We consider these our resident commuters, and very often they find the expense of city living more than they had planned for,” says Hutchinson. St. John’s does not have a food pantry on campus. “We’ve thought and talked about this, but the fact that we have strong ties with local churches and community organizations allows us to link students to food banks and other existing resources in the immediate area.” A bigger concern expressed by students has been for meal options while on campus, notes Hutchinson. On average today, the pantry at Fresno State receives about 4,600 visits per month during the academic year. At Fresno State, students can also pick up once each month a hygiene pack containing deodorant, soap, and other essentials—another need identified based on input from students. The term food insecurity itself can be difficult to precisely pin down, as there are varying ranges and levels of frequency used to describe and measure the severity of this challenge. For instance, the U.S. Department of Agriculture defines food security as “access by all people at all times to enough food for an active, healthy life,” and so it follows that food insecurity would be a lack of consistent access. USDA provides labels of high and marginal food security and low and very low food insecurity to attempt to further delineate varying levels of food access. The “limited or uncertain availability of nutritionally adequate and safe foods, or the ability to acquire such foods in a socially acceptable manner” is another definition of food insecurity offered by the Wisconsin HOPE Lab through its groundbreaking research on this topic. Its third and most recent national survey—Still Hungry and Homeless in College—released in April 2018 reveals a notable variation among four-year institutions and community colleges. Estimates among the 35 participating four-year colleges and universities with regard to the level of food insecurity among their student populations ranged from 15 percent to more than 60 percent, with most clustering between 30 percent and 40 percent. Among the 31 participating community colleges, estimates ranged from 30 percent to 60 percent of students who are food insecure, with most community colleges surveyed clustering near a mean of 43 percent. The kinds of questions posed to get at the varying levels of severity ranged from whether students could afford to eat a balanced meal, to whether they had ever cut the size of a meal or skipped a meal because of lack of resources to buy food, to whether students hadn’t eaten for an entire day or three or more days because of a lack of money for food. Regardless of the exact percentage, mounting evidence suggests the problem of food insecurity among college students has grown pervasive. “A Systematic Review of Food Insecurity Among U.S. Students in Higher Education,” published in June 2018 by the Journal of Hunger & Environmental Nutrition, assessed data from eight separate studies collectively representing 52,085 students. 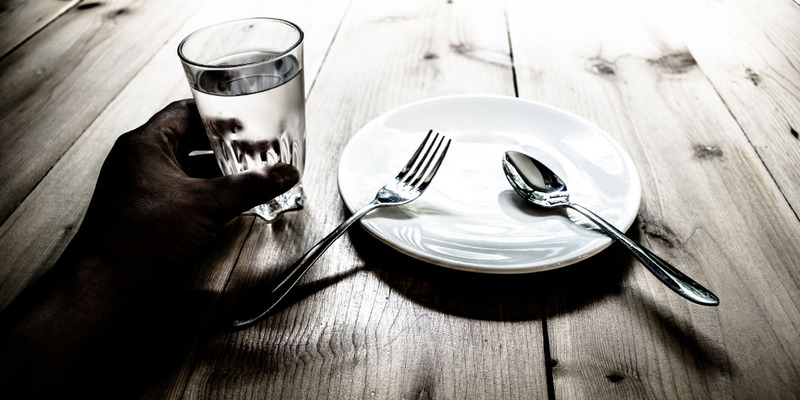 That review found food insecurity prevalent among 43.5 percent of students, concluding this is a new public health priority requiring both policy and programmatic change. In addition to its Student Cupboard, three other initiatives round out the core components of Fresno State’s Food Security Project. 2. Swipe Out Hunger. This partner organization helps colleges and universities set up a process allowing students to donate residential meal plan program dollars to a “swipe” fund that then becomes available to other students. In the two semesters that Fresno State has offered swipes—allowing one meal donation per student per semester, per the current agreement—more than 900 meals have been donated by students to other students. That is rather impressive given that Fresno State only has about 800 students with a meal plan each year, says Alicia Nelson, the university’s director of wellness services. 3. Resources and education. In addition to having a registered dietician on hand in the Student Cupboard to consult with students about food nutrition, in the 2018–19 academic year, the project will launch a “How to Adult” series that will offer workshops on budgeting and meal preparation so that students can save money by cooking at home and eating out less often. In 2011, Clare Cady was working at Oregon State University, Corvallis, where she had been hired to run a resource center focused on helping students in economic crisis. The center included a campus food pantry started by students. “As our effort grew, I starting looking for an organization of peers from whom I might learn some best practices. I quickly realized that I would need to facilitate those professional connections myself,” notes Cady. 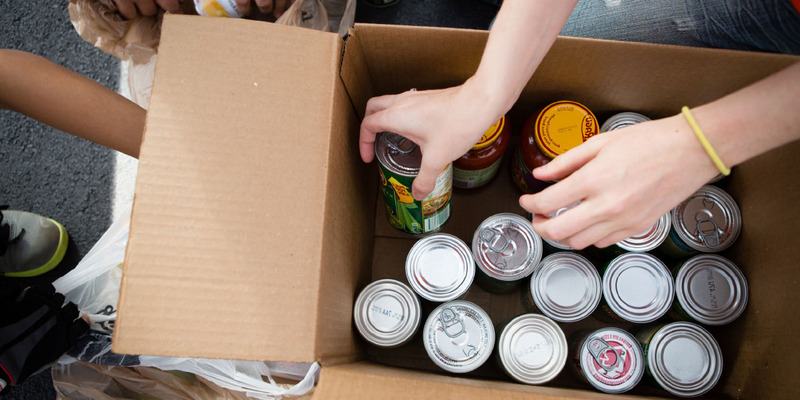 She found a colleague at Michigan State University, East Lansing, one of the first campuses to formally launch a food pantry on campus, when in 1993 students formed a separate 501(c)(3) to address student hunger. Together, they began searching for more campuses to create a forum for sharing ideas and resources. “When we began in 2012, we had 15 member schools. Today, we are approaching 650 members, which includes primarily individual campuses, but also several state systems and a smaller number of partner organizations seeking to engage with college campuses,” notes Cady, director of College and University Food Bank Alliance (CUFBA). In addition to offering training and how-to resources, since its inception CUFBA has worked through its members and partner centers to build a body of evidence to quantify the challenge of food insecurity and build the business case for helping students meet basic needs of healthy food and safe shelter. That’s a primary aim of the Hope Center for College, Community, and Justice, launching this fall at Temple University, where Cady will serve as director of research application and dissemination. CUFBA is combining forces with the Hope Center, a new project spearheaded by Sara Goldrick-Rab, Temple professor of higher education policy and sociology. Goldrick-Rab was founder of the Wisconsin HOPE Lab at University of Wisconsin-Madison, where she helped bring national attention to the issue of student hunger through her research and writing. A growing body of research and campus assessments during the past decade have sought to quantify the levels of food and housing insecurity among college students across the nation. Part of the difficulty in nailing down specific details about the scope of the problem stems from differences in methodology and survey instruments used, and surveyed populations that likewise evolve over time. And yet, that so much attention has been directed not only to the existence of this phenomenon but also to the underlying causes and potential solutions suggests: 1) this is real; 2) there is no quick fix. More than half (57 percent) said they would have difficulty coming up with $500 for an emergency. Nearly half (46 percent) reported running out of money at least three or more times during the previous year. More than one third of students (38 percent) said it was important for them to financially support their family while in college. More than one third (36 percent) showed signs of “very low food security” according to USDA methodology (including skipping meals or eating less), while slightly more students (40 percent) showed signs of housing insecurity (struggling to pay utilities/rent or needing to move frequently). While students said they speak about their financial difficulties with some regularity with a financial aid advisor (49 percent), academic advisor (39 percent), or a faculty member (23 percent), nearly one third of students (30 percent) disagreed or strongly disagreed that faculty members understand their financial situation. Beyond trying to assess and address food insecurity from a national framework, individual states and state systems of higher education are likewise trying to grasp the full measure of this crisis for their students. The California State University’s Basic Needs Initiative released its Study of Student Basic Needs, in January 2018 that takes into account perspectives from staff, faculty, and administrators and the actual experiences of students with homelessness and very low food security to begin to frame the issues and gaps in service for the system’s 23 campuses as well as to highlight the successes of services already in place. This past March, The State University of New York (SUNY) launched its Food Insecurity Task Force to bolster resources in support of the governor’s “No Student Goes Hungry Program,” which would require each SUNY and City University of New York institution to either provide an on-campus food pantry or arrange with a local food bank or other service to distribute food assistance to students. Currently 70 percent of SUNY campuses do provide some level of food assistance through pantries and other services. The goal of the task force is to increase participation to 100 percent. Individual campuses across the country are also making deep commitments to combat the food and housing challenges of their students. A recent report by the Wisconsin HOPE Lab—Supporting Community College Completion with a Culture of Caring: A Case Study of Amarillo College—details the intentional, intensive cultural shift undertaken by one Texas institution to fully focus on students’ basic needs as part of its No Excuses Poverty Initiative. While no one-size-fits-all easy answer exists to a challenge so complex, plenty of resources have emerged to help institution leaders and students educate campus stakeholders and sort through potential solutions. CUFBA Campus Food Pantry Startup Toolkit. Running a Campus Food Pantry: Student Government Toolkit. Numerous other national organizations actively partner with higher education institutions to combat student hunger, including Swipe Out Hunger and Food Recovery Network. “Establishing Food Security.” (a UC Riverside contribution). “Sowing Seeds to Alleviate Hunger.” (a Virginia Commonwealth University contribution). Does giving a student food constitute a gift? If we give a food box, should that count as financial aid? If that individual is maxed out on aid, does providing further assistance exceed cost of attendance? Do we have to report the value of every donation—for instance, every can of beans—as an in-kind donation? Despite the range of financial and legal issues to consider, Cady believes having these conversations will ensure that campuses get it right. “We need knowledgeable skeptics and champions in every facet of this work—beginning with financial aid, risk management, and enrollment management—to make sure these operations are compliant.